"I had recently started a youth run organisation called ‘Talk’, to try and destigmatise politics and big issues as talking points with young people. Tom was really proactive in helping us, putting us in touch with loads of useful contacts, helping us to find potential venues and ultimately helping to book the City Hall for our event through the Unit. I also came in for help with my CV, as it felt cluttered, being almost four pages long. Tom sat down with me for over an hour, helping to make all the information concise and relevant, eventually fitting it all onto one page and giving it a professional design. He completed the design in his own time, and even printed several copies out for me on good quality paper. The first time I handed my new CV in to an employer, I was given a job on the spot." 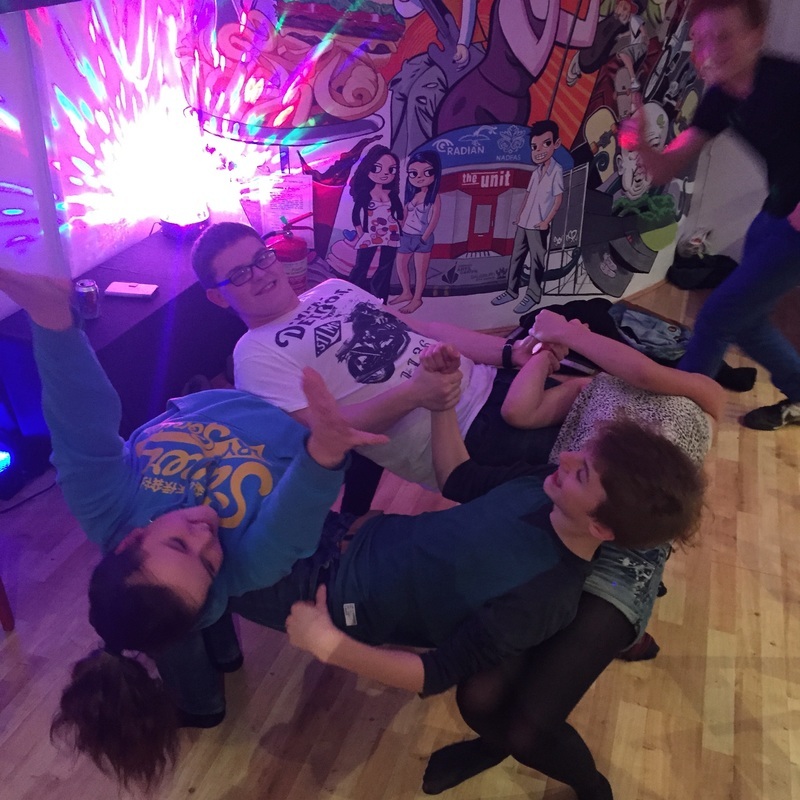 "I enjoy going to poetry and playing music with the unit, it’s helped me help others younger than me and how I can share my knowledge in music with others and how that helps them, I feel The Unit should stay as it is an amazing opportunity for young people to learn and share the things they love and push those ideas out to the community. I visited the unit for the first time in the half term when there was a music writing workshop going on, I took part and as a result from that I have since played at the arts center Open Mic Nights and hosted my own acoustic live session at the unit where I played to 24 other young people on my birthday!" "I like coming to the unit because it is a really good place to just go and chill when you’re either waiting for something like a bus or you just want to chill. It is an important place to me because there are lots of opportunities to take part in. I especially like being able to choose my own music on the big screen and sing along to karaoke on Youtube. " "The Unit has had unmeasurable impact on me and many of my friends in and around Salisbury. Through The Unit, I have made many new friends from schools I’d never usually have the chance to socialise with. Most evenings it is perfect as a place to relax, do homework, grab a drink and take part in so many different activities. I have even had the chance to run my own acting workshops here. Without the Unit I think myself and many others will have nowhere to go: There is nothing else like it. " 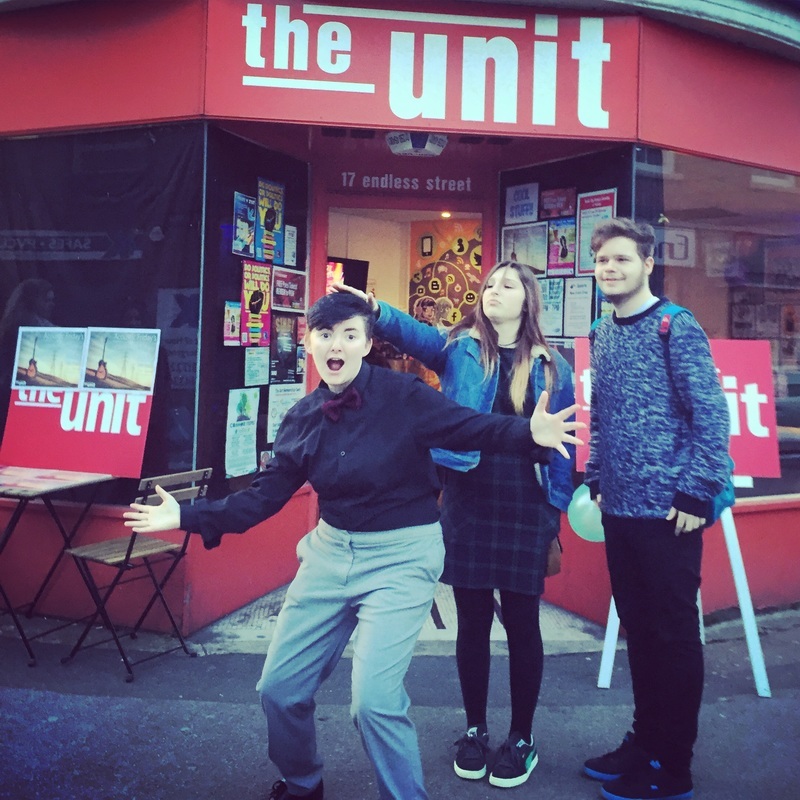 "The Unit is brilliant because, since I walked into the Unit, they have allowed me to DJ there which has led onto various opportunities such as performing twice in the Arts Centre and also performing in the teenage market. Tom has been really helpful in getting me my gigs and it has really accelerated my DJ’ing career, giving me experience with crowds and what music gets them dancing. I don’t know what I would do without it and I cant wait to get more involved in the music industry because of them!"